Bison and Wolves & Bears, Oh My! Bison and Wolves and Bears, Oh My! HomeConnectYellowstone HotspotLearnBison and Wolves and Bears, Oh My! The first time I visited Yellowstone National Park, I was 10 years old and so excited to see a bear for the first time. After three days, our family still had not seen one, so my father did what any good parent would have done for his children: He opened a can of tuna and a bag of hot dogs and placed them on the picnic table nearest our camping trailer. Such behavior was acceptable back in the day. 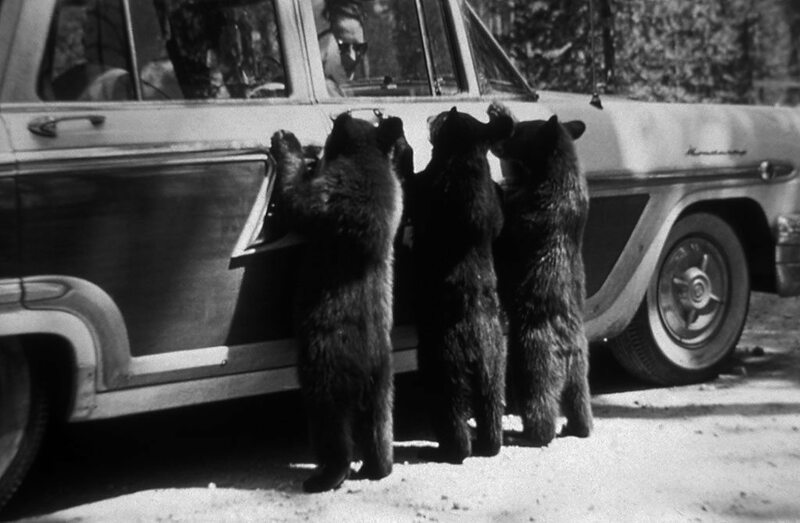 There were no locks on trash dumpsters and seeing bears rummaging for food near restaurants, lodges and campgrounds was considered part of the experience of Yellowstone. Fortunately, we now know so much more about caring for the wildlife that makes Yellowstone such a magical place. We know that hot dogs and Twinkies are not good for bears. Because of efforts as simple as creating bear-proof trash cans and better educating the public, the bear population and all wildlife at Yellowstone is healthier and more “natural” than ever. “Because of practices that have been put in place at Yellowstone, several wildlife species have triumphed over adversity and created a more balanced eco-system in the park,” says Tyrene Riedl, interpretive services manager for Xanterra, the nation’s largest operator of park-based hotels, restaurants and stores. “In addition to our guides, we are making a greater effort to educate all of our employees about wildlife conservation, including the restaurant and hotel staff who interact with guests on a different level, but who still have the opportunity to share valuable information,” she says. Here are five animal species that have benefited from conservation efforts at Yellowstone National Park. At the time of my first visit in the early 1970s, the grizzly bear population in the Greater Yellowstone Ecosystem (GYE) had dropped to an estimated 130 bears. North American grizzly bears were listed as “threatened” on the Endangered Species list by the U.S. Fish and Wildlife Service. Black bears were not in as much trouble, but their population, too, was below 150 in the park. Now, by eliminating unhealthy food sources made available by humans, educating those humans not to do what my dad did, and forcing the bears to search for natural food sources, there may be as many as 1,000 grizzlies and well over 1,000 black bears in the GYE. This wild animal, above all others, is the symbol of the American West. But due to hunting practices and 19th-century military efforts to eradicate this food source for Native Americans, the bison was almost entirely lost in North America. The reason we have bison in this country today is due, in large part, to the restoration efforts at Yellowstone and the park’s Lamar Buffalo Ranch starting as far back as 1906. Today, there are close to 4,000 bison that roam freely in Yellowstone, the nation’s largest bison population on public land. A good place to see the herds is usually in the Lamar Valley, as well as the Pelican and Hayden Valley. But do not approach these animals. Although they may seem calm and docile just waiting for photos as they block the roadways, they are wild animals and can become deadly in a moment’s notice. In the early days of park management, gray wolves were considered a nuisance and great efforts were made to kill all of them. Area farmers and ranchers, who lost livestock to the wolves, cheered the move. As early as the 1960s, it became painfully clear that wolves were a necessary, vital part of the ecosystem. As predatory animals, they encourage movement of herds of elk, deer and buffalo to different locations so they don’t over-browse areas, and they naturally eliminate weak or sick animals. In 1995 the National Park Service launched a wolf restoration program. Not long after the first 14 wolves were reintroduced from Canada, park naturalists began noticing healthier meadows and grasslands, wildflowers growing in places that had long been absent of blossoms, and stronger herds. An additional 17 wolves were brought to Yellowstone from Canada in 1996. There are now about 115 wolves in 10 packs roaming Yellowstone. When it comes to feeding bears and eagles, not any old fish will do, wildlife specialists have learned. In Yellowstone, the cutthroat trout is indigenous to the rivers and streams. Because they are shallow-water breeders, bears and eagles can easily grab what they need for survival. 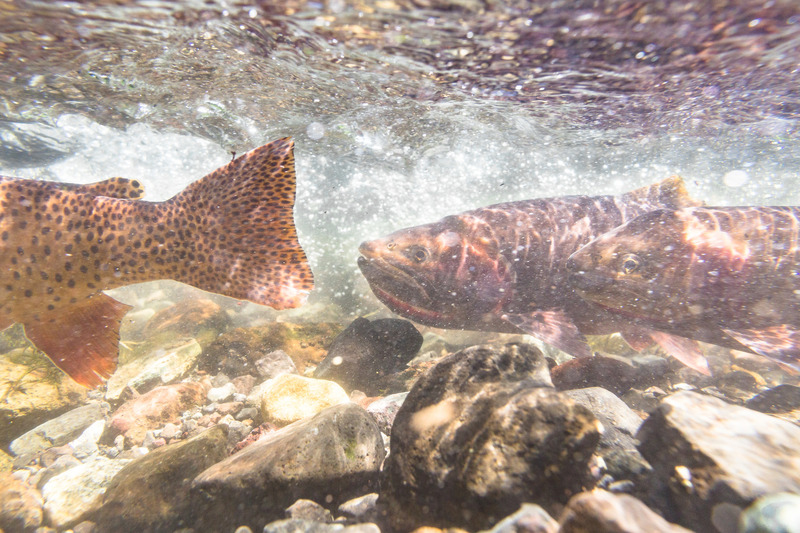 However, sometime over the years, lake trout were released into Yellowstone Lake and those fish feed on cutthroat trout, threatening the most important inland cutthroat trout fisheries remaining in North America. Efforts are now underway to eliminate the breeding grounds of lake trout so that the cutthroat trout may thrive. These beautiful white birds, the largest wild waterfowl in North America, love spending the winter in Yellowstone because the thermal waters that feed into the many of Yellowstone’s rivers, preventing those rivers from freezing. 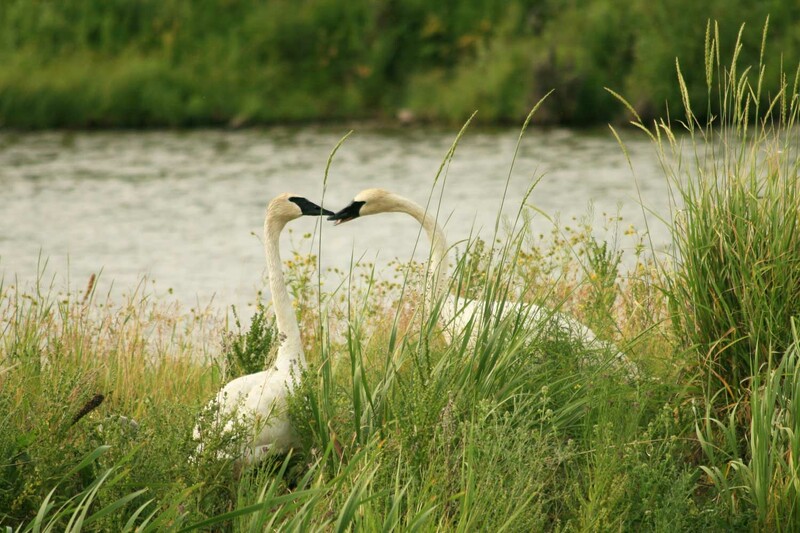 So winter can be an excellent time to see trumpeter swans in the park, and places like the Madison, Gibbon and Firehole Rivers can be prime locations. Unfortunately, there are only 11 swans who make their home here year-round and only two pair of breeding swans. That decline is from a peak of 72 in 1961, based on counts that began in 1931. The park is now engaged in a release program to augment the swan populations and increase the number of breeding pairs that nest inside Yellowstone. You might get a good look at them in the summer months on the Madison River around the 7-Mile Bridge, but take care not to disturb them or their fragile nesting areas.